A Portrait in her 50's, she still looks amazing! The minute Melissa walked into my studio I noticed how beautiful she looked. Her long graceful neck had a very regal quality, and her facial features were classically gorgeous. Sensing her apprehension about having attention drawn to herself, we began to chat about her reason for today’s session. 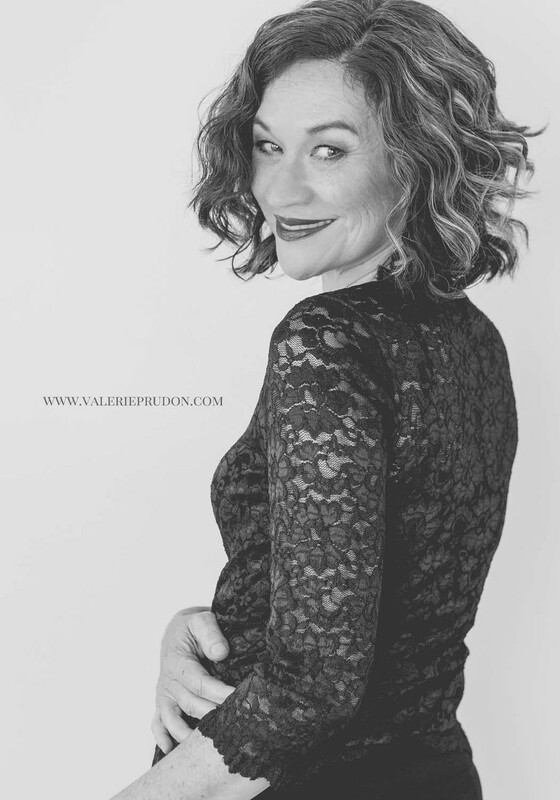 Melissa’s profession requires updated corporate photos, but she has been procrastinating because, now that she was in her 50's, she didn’t want to go in a huge warehouse studio with all the young models around. As we talked over coffee she began to relax a bit, and actually seemed excited about getting started. She loved the personal attention she received during her hair and makeup session with Valentina, and by the time she had finished with her, she was smiling. We selected a very casual but classy outfit for the corporate shots. As you can see in this photo, she is the image of confidence. Her hair and make up give her an air of authority without compromising her femininity. It took a little coaching, but she finally agreed to indulge my inner diva and let me “fancy” her up, just a little, for a glamour shot. We gave her make up a more dramatic look, added some texture to her hair, and just look at the end results. Nothing short of stunning! I knew Melissa was beautiful when she walked into my studio, when she came back to review the proofs and select her photos, she knew it too! I really hope the photoshoot experience changed her perception about herself. "I usually feel very uncomfortable in front of a camera, so I was attracted by the fact that Valerie photographs women in a private environment. Having my make-up done and photos taken in the intimacy of her studio apartment made me so much more relaxed, and Valerie and her make-up artist Valentina were so down to earth. I think is then reflected in the naturalness of the photographs, which is what I was hoping for".